New York, NY – September 17, 2018 – NYI, a leading provider of hybrid IT solutions utilizing cloud, colocation and bare metal platforms, announces its partnership with Eplexity, a Managed Service Provider focused on cutting-edge cloud solutions and an Advanced Consulting Partner in the Amazon Web Services (AWS) Partner Network (APN). The partnership will immediately extend NYI’s world-class managed infrastructure services to AWS environments. Existing and future NYI customers will benefit from access to public cloud expertise and solutions, including the insights of AWS-certified engineers. NYI is a trusted infrastructure partner to clients across a range of industries. NYI offers a comprehensive set of hybrid solutions across cloud, colocation and bare metal — all accessed from a single management platform. Cloud solutions include private, public, hybrid and multi-cloud solutions and SDN-enabled direct access to the cloud ecosystem. NYI’s custom solutions are complemented by an extensive set of Professional Services and end-to-end Managed Services capabilities. NYI is headquartered in New York City and provides enterprise services into key global markets through a trusted ecosystem of partners. For more information about NYI Cloud Solutions, please visit: www.nyi.net/solutions/cloud, contact 800.288.7387 or follow NYI on Twitter or LinkedIn. Headquartered in Denver and founded in 2014, Eplexity offers a suite of professional and managed services, proprietary software, and best-of-breed third party solutions to help clients succeed through cloud-driven technologies. Key capabilities include: cloud migration strategy and planning; systems architecture; infrastructure design and support, training; round-the-clock managed support services through the company’s Cloud Command Center; cloud security and compliance; and disaster recovery. 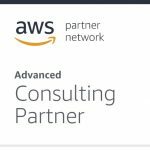 What Is The AWS Well-Architected Framework?